The U.S Women’s Soccer Team are World Champions and are now preparing for the 2016 Olympics. But, you don’t have to wait that long. 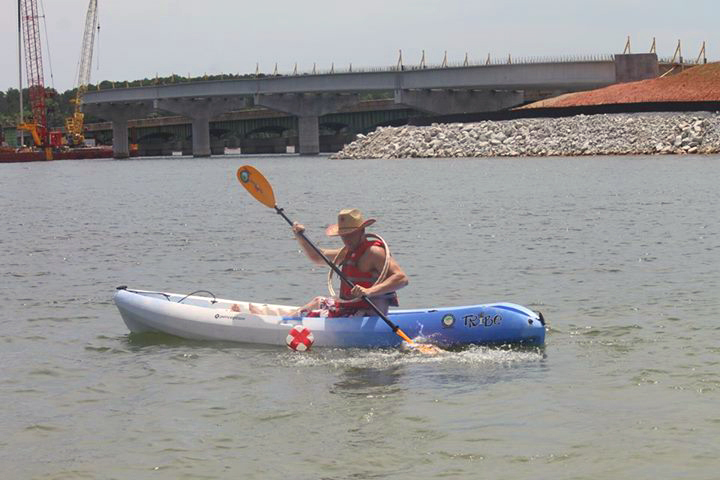 Our Fourth Annual Kayak Olympics will be held on Wednesday, July 29, 2015 at 9:00 a.m. The fun will take place next to the pavilion at Baker Creek State Park. Grab your kayak and sense of humor and prepare to have more fun than you can imagine. This is your chance to win an olympic medal. Now is the time to mark your calendars and register. Be sure to have your friends and neighbors who kayak register to join the fun also. To become a registered olympian, e-mail Linda McClintock at lindamacmcclintock@gmail.com before the Tuesday, July 21 deadline. Please specify in your e-mail that you are registering to participate. If there is more than one person you are registering, please provide all names.